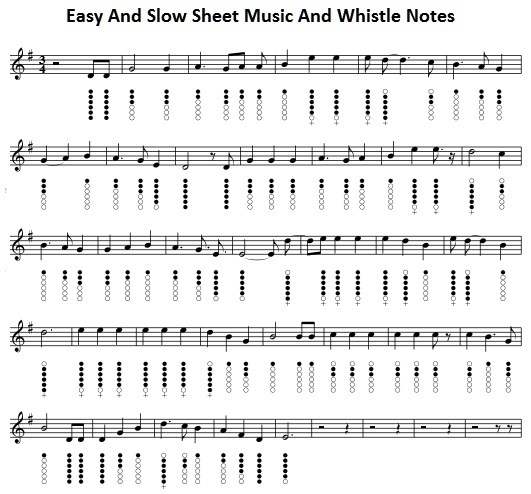 Easy And Slow sheet music and tin whistle notes-Irish Song, recorded by The Dubliners with Ronnie Drew singing also by Jim McCann. a traditional Irish tune. Easy And Slow lyrics and chords the youtube music may be in a different key that the tin whistle music notes. The version below is played in a higher key.